Congrats on 6 weeks chica! The time will fly by! And good for you for proactively figuring out the protective style that will work best for you! How often do you plan on redoing your braids? 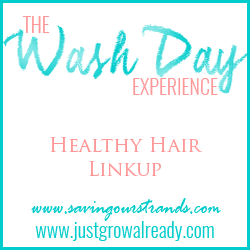 Thanks for sharing your wash day!